I want that when the coordinate x1 , y1 of a moving object collides with the cordordenada x2 , y2 an action is executed. That is I want to collide two points , not two surfaces. is it possible? You would have to test the distance of both the points to do that. Using a local or global variable to compare on every tick. Something like this to test out. You might have to play with the distance. 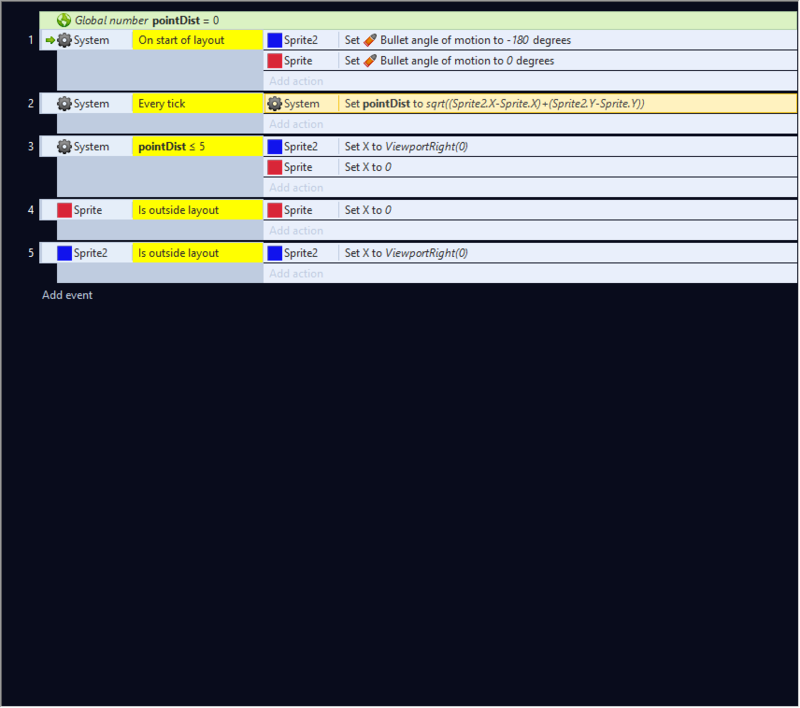 cause it depends on where the origin point is set for this it was to 64x64 sprites with the origin set in the middle. but if these are moving objects it will allmost certainly never happen. You could check if the distance between those points is less than a certain distance and have that call the actions ..
Raise the comparison up half the width of the sprite should work. thank you very much to both.